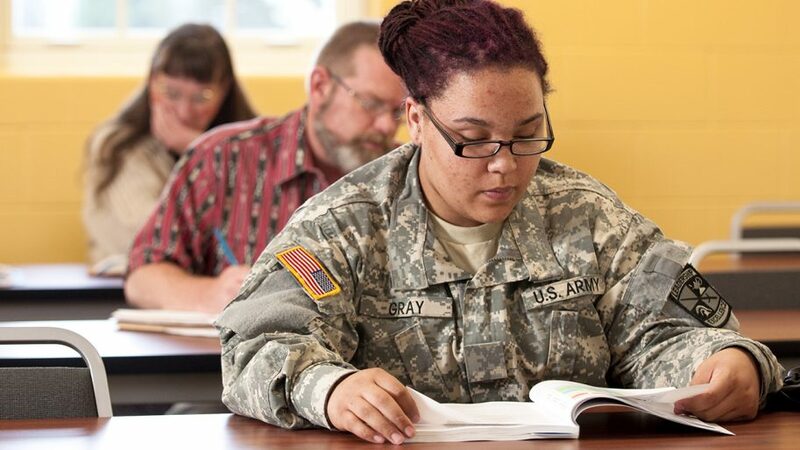 Lourdes University has provided a college education to veterans and military members and their families for many years. Our faculty and staff are proud to serve you and your fellow students while you are at Lourdes and are excited to celebrate your accomplishments including commissioning services and graduation. Pursuing his Bachelor of Arts in Interdisciplinary Studies, he is especially thankful for Associate Professor of Mathematics Dr. Oxana Grinevich, who worked with him multiple times on math equations, motivated him to become a better student and always offered the best advice for student success. 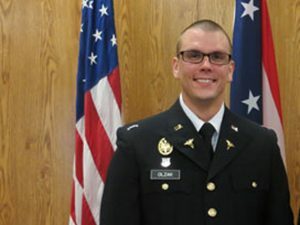 Michigan National Guard Second Lieutenant Corey Linser (’15, BA) graduated from the Ohio State Highway Patrol Academy in early March. As a member of the 159th graduating class, he is stationed at Post 89 in Swanton, Ohio. A criminal justice graduate, Trooper Linser was commissioned in the Michigan National Guard last May and is a Platoon Leader for the 37th Special Troops Battalion. Next on his agenda is successfully completing training at Fort Huachuca with the opportunity for promotion to First Lieutenant in the National Guard. Commissioned as a 2LT in May 2014, Matthew will now serve with a medical unit in Columbus, Ohio and continue his officer career with the U.S. Army Reserves. After returning from deployment, CPT Matuszek joined St. Charles Hospital’s Progressive Care Unit East. She is also working to complete a Family Nurse Practitioner Certificate at The University of Toledo. 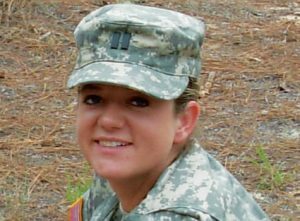 Upon completion of the program, she plans to reclassify her position and become a nurse practitioner for the Army Reserves. 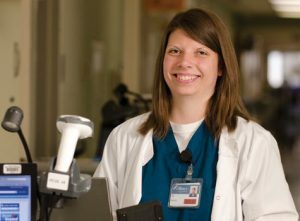 A clinical nurse officer in charge at Fort Sam Houston in San Antonio, TX, MAJ Merritt oversees a 26 bed trauma surgical unit in the largest department of defense medical center. On a daily basis, she has 96 staff reporting to her. 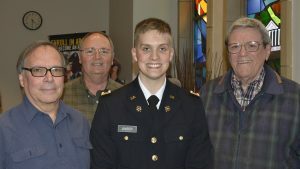 Last December, MAJ Merritt and her family moved to Germany so that she could serve in the 212th combat surgical hospital. She is currently working on her master of forensic nursing at Duquesne University and will sit for her Sexual Assault Nurse Examiner – Adult/Adolescent (SANE-A) certification exam in the near future.